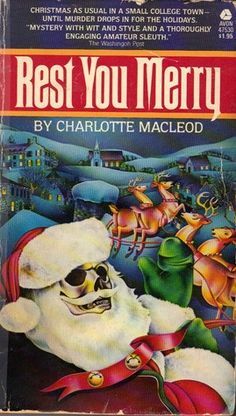 The first series I discovered on my own, without help from my mother or a librarian, was the Peter Shandy books by Charlotte MacLeod. I was especially excited to discover Macleod's books because, although a US citizen, she was born in Canada. As Charlotte MacLeod, she wrote two series, one set at an agricultural college (Peter Shandy) and the other on Beacon Hill in Boston. 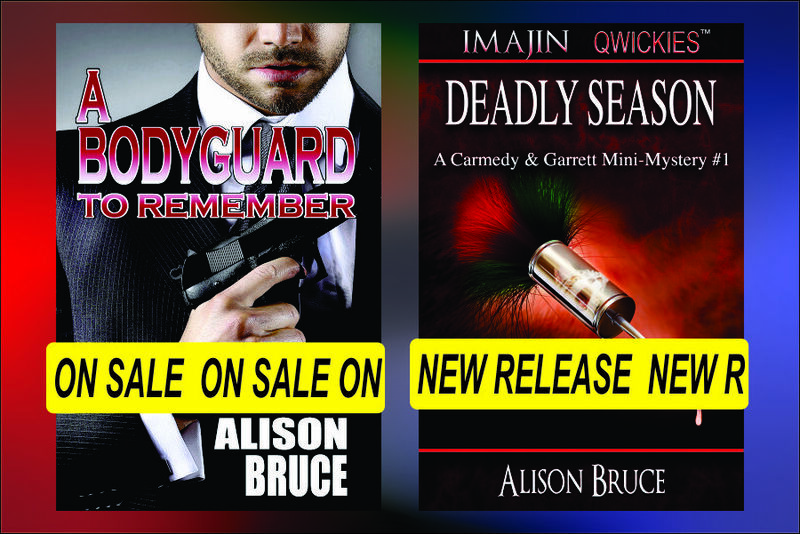 Writing under the name Alissa Craig she had two other series set in Canada. "All feature a humorous and literate-yet-light style, likable protagonists, and eccentric casts of secondary characters." My secondary characters are not quite as eccentric as MacLeod's. They are more in line with the supporting characters of Castle or Bones, but maybe I just don't see them as eccentric because I know them so well. 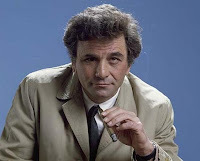 My detectives are not as annoying (to the suspects) as Columbo either, but like Columbo, they are happy to let their adversary underestimate them. I loved Columbo when I was growing up. He was my favourite TV detective. I also enjoyed the much disparaged Mrs. Columbo. Kate Mulgrew was definitely too young for the role, but otherwise I thought the show had merit. I could identify with her method of detection. 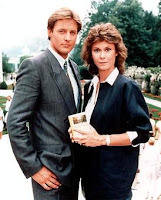 She reminded me of another amateur sleuth I enjoyed: Kate Jackson in The Scarecrow and Mrs. King. Going down memory lane like this, I realize that I owe my writing style and tone to more sources than I imagined. Every thing I've ever read, listened to or watched, since I was about eleven, has acted as a base on which my books have been written. Even the stories I didn't like have had an influence. 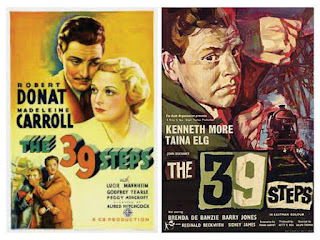 Along with the other classic mystery adaptations, I watched my share of Sherlock Holmes movies with Basil Rathbone and others. I hated the way Holmes treated Watson, like he was an idiot. That Holmes treated everyone else that way was bad enough, but Watson was his friend. And as for the way he treated Inspector Lestrad... it's a wonder Holmes didn't find himself slapped in jail, every other case, for obstructing justice. The original idea behind Carmedy and Garrett Investigations was that the police might hire consulting detectives on a basis of mutual respect. There would be no blundering police and no sidekick assistants. Understand, I started Deadly Legacy before Sherlock or Elementary or even the first Sherlock Holmes with Robert Downie Jr and Jude Law. The movie trailer with Watson punching Holmes had me punching the air shouting "YES!" I still love a mystery. And I love taking a slightly skewed look at them too. 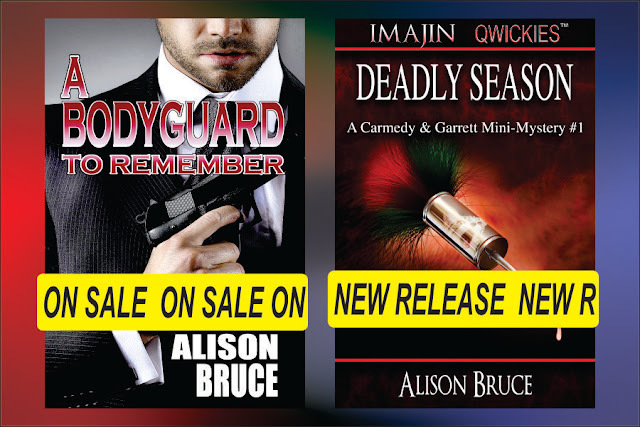 A Bodyguard to Remember is on sale for 99 cents until December 2 via Lachesis Publishing.